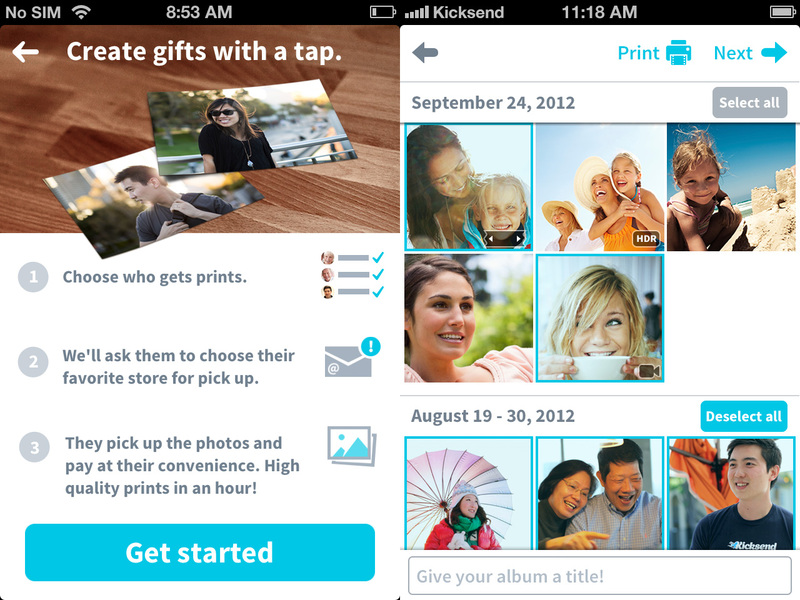 Y Combinator backed Kicksend has updated both its iPhone and Android apps with new features designed to help share photos with your friends and family. Starting today, users can share an unlimited number of high-resolution photos with anyone they choose. In addition, the service has released its retail integration, called “Print to Family”, that lets you print photos at participating stores, including Walgreens, CVS, and Target. Kicksend has been making some news since it launched earlier this year. Since going through Paul Graham’s accelerator, the company has created a free plan, brought on board Wells Riley as its first product designer, rolled out a web-based app, and teamed up with Walgreens to allow US users to print their photos right from their iPhone. There are a lot of similar type companies out on the market now, like Picplum, Postcard on the Run, PostalPix, and many others, but what while some are focused on printing photos on things like coffee mugs, creating postcards, etc, Kicksend appears to be concentrating on helping people share large-scale photos while also ensuring that if they want to be printed, there are services ready to help. Pradeep Elankumaran, Kicksend’s CEO and co-founder, tells us that its biggest advantage is being able to source photos from your phone and being able to print it out. With the addition of CVS and Target to its list of locations where users can print photos, there are more than 15,000 available spots around the United States. To take advantage of this, all a user needs to do is go into the app, select the photo they want to share with friends and/or family, and direct who it should go to. The recipient will receive either an SMS text message or email with a link. After clicking it, they’ll be able to order prints in whatever size they want and pick it up at the store nearest them. And since Kicksend now allows for unlimited photo sharing, users can now send as many high-resolution photos as they can at one time through the Android and iPhone app, desktop application, and Kicksend website. 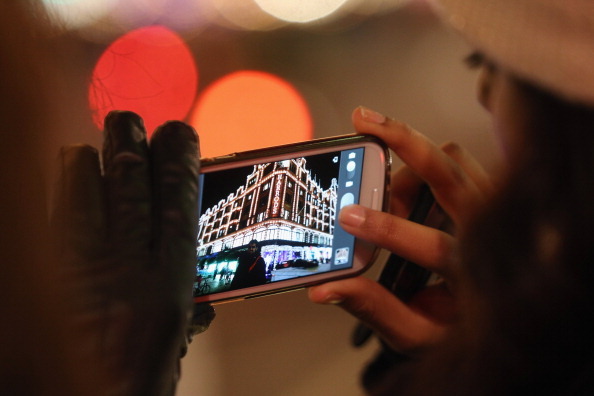 Previously, the mobile app limited users to 30 photos at a time due to wireless and software constraints. Photos can be sourced from anywhere, including memory cards, Dropbox, Google Drive, Box, or any other drive that is hooked up to your computer or mobile device. More updates have been made to the company’s app, all that focus on helping to share content and streamline the easy of use. With the update, anyone with the app can start using its smart album grouping, which allows photos to be added into specific albums by time and location; photos can now be sent to any phone, but the recipients need to have the app installed to view and print any photos; conversations can be had with each photo — similar to what you might expect with Instagram, now users can chat about any photo shared and even show their appreciation with the ability to “heart” a photo (similar to “Liking” a page). Elankumaran tells me that the service now has a “reminder” feature where users can ask for a nudge to get them to send photos to their families or friends. It can be a weekly or periodic reminder. The idea is that the more frequent the communications, the easier it is to get people to do it — of course the opposite is true as people might find it annoying and just stop paying attention to it — it’s a fine line. The app is free to use. It doesn’t matter how many photos you share with your friends and family. Elankumaran says that the only charge will be when a user sends photos to Walgreens, CVS, or Target to be printed — there, they will need to pay for that processing. It’s also here where the company will make money, thanks to a revenue-sharing plan with its partners. As the company has many users outside of the United States, the app has been fully translated into 14 languages. Unfortunately, CVS, Walgreens, and Target are not available in many parts of the world, but the core service of Kicksend is still available to anyone who wants to use it. 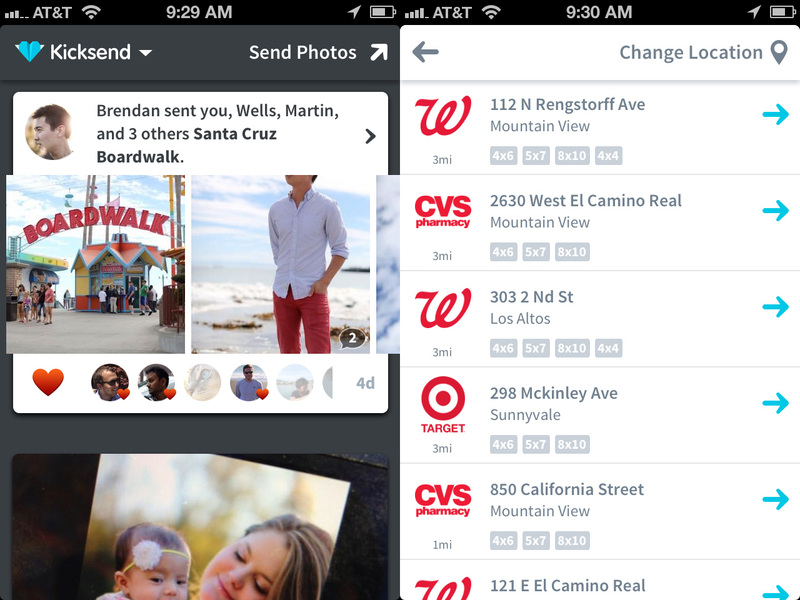 Kicksend has raised $1.8 million from True Ventures, Digital Garage, SV Angel, Y Combinator, and others.